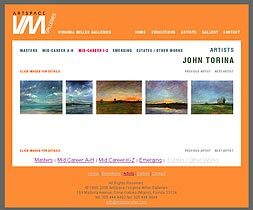 In the tradition of plein-air painters, John Torina produces his oils in the open air–even the five-foot canvases. If you enjoy dreamy, impressionistic Florida landscapes, check out this series that Torina painted while camping near Sebastian Inlet. See artwork and get information about it here.